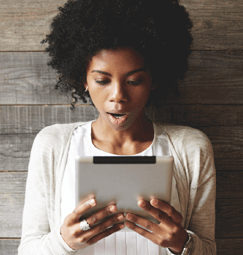 Moneyline is a full online banking experience. You can check your accounts, anywhere, anytime. Don’t have time to run to the bank? No problem. With Moneyline, you can bank from anywhere. As long as you have an internet connection, you can bank with Moneyline. What's new with Corporate Moneyline? For every new benefit of the internet, there’s a potential new risk involved. That’s why it’s important to arm yourself with all the information and tools you will need to protect yourself. There is more than one path up the mountain, and there is more than one way to bank with JMMB. Here is a list of our services, with descriptions. When you open a JMMB Bank personal chequing or savings account, you will automatically receive a JMMB Bank debit card. With your JMMB Bank debit card, you can enjoy 24-hour access to your chequing and savings accounts. JMMB ETMs: Our Express Transaction Machines (ETMs) let you access your JMMB accounts 24 hours a day without visiting a branch. Use your ETM card to withdraw cash from and invest cash into your JMMB accounts, transfer funds between JMMB accounts, and make balance enquiries. Note: Save Smart Accounts (USD/JMD) must maintain minimum balances at the ETM. Looking to transfer money? You can at one of our convenient locations. 5 Haughton Avenue, Kingston 10. Note: Save Smart Accounts (USD/JMD) must maintain minimum at the ETM. Multi-Link ATMs: An Automatic Transaction Machine (ATM) lets you access your JMMB Bank accounts 24 hours a day, without visiting a branch. Use your JMMB Bank debit card to withdraw cash from your JMMB Bank account, and make balance enquiries. 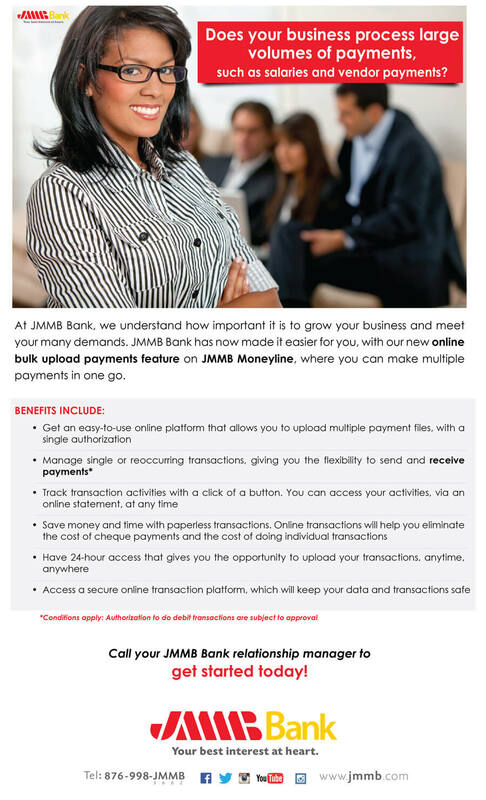 Multi-Link access: In addition, your JMMB Bank debit card operates on Jamaica’s island-wide Multi-Link network. This means that, in addition to withdrawing cash from Multi-Link-enabled machines, you will also be able to use your card to make purchases at thousands of merchants, island wide. Opening Hours: Mondays – Sundays 8:00 a.m – 12:00 a.m.
Moneyline: An online banking portal. For a full description, please see above.